Join us in celebrating Chase Wanat, our Peconic Pediatrics’ patient spotlight. Chase is 15 years old and in the tenth grade. He has a major accomplishment to share. Chase successfully took his health and well-being into his own hands. After a checkup, he learned that his weight was a danger to his health. Chase grew determined to fix it and took action. He lost over 50 pounds all on his own! What’s his secret? He cut out sugar, started going shopping with his mom and began reading nutrition labels. Chase is having fun discovering new healthy foods to eat and now drinks more than a case of water a week! He learned that discussing his weight was not meant as an insult. It was to improve his health, and it did! 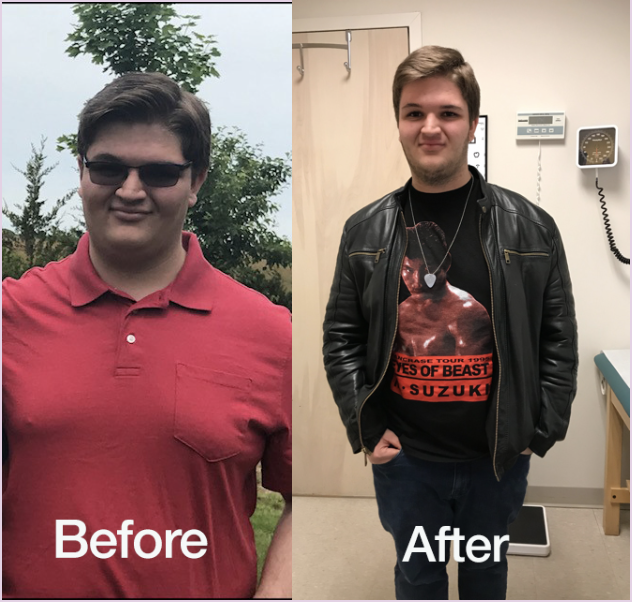 Losing weight and being healthier makes Chase happy and he is honored to be able to share his story! Chase, you are an inspiration to us all! Congratulations!